January 8, 2019 - Industrial Innovations announced that it has provided two Spra-Rite™ High Pressure Lubricant Spray Systems to Metrican, a leading supplier of tooling and stamped metal components, for use at its’ Dickson, Tenn., stamping facility. These spray systems are designed to atomize and apply thick, emulsified lubricants of a rich dilution, which are often needed to process today’s advanced high strength steels (AHSS). 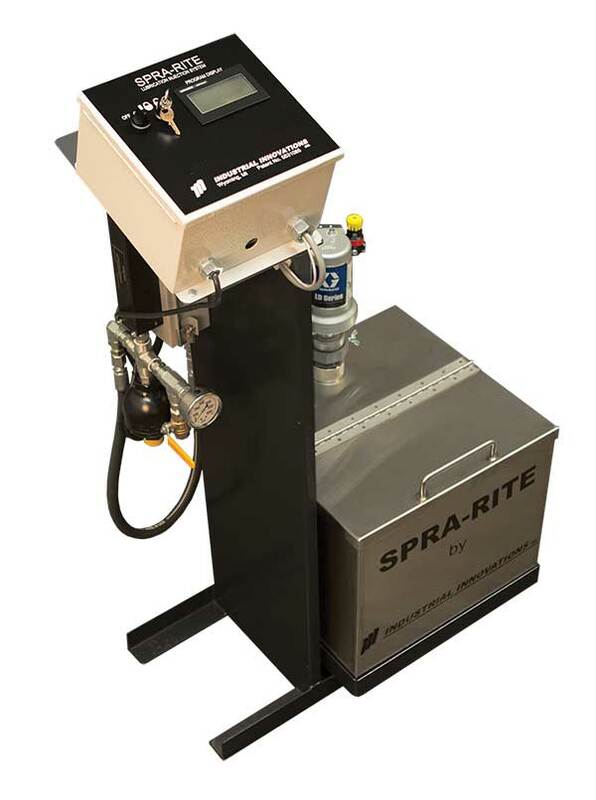 Generating pressures up to 500 psi, the Spra-Rite systems distribute lubricant from the reservoir tank, propelling it through a filter and then thru a patented Z- nozzle, where it is atomized and applied to specific areas of the stamping or drawing tooling and/or the stock. The systems feature an electronic process control package, which provides individual control of lubricant volume, delay spray and skip cycle of up to 48 individual spray nozzles for extremely precise lubricant application.